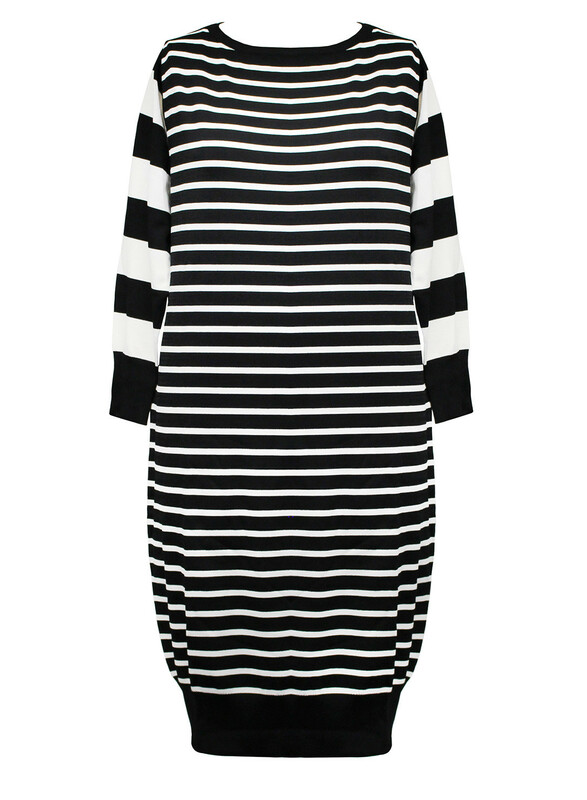 You will fall in love with this dress for its effortless shape and classic monochrome knitwear this Winter! 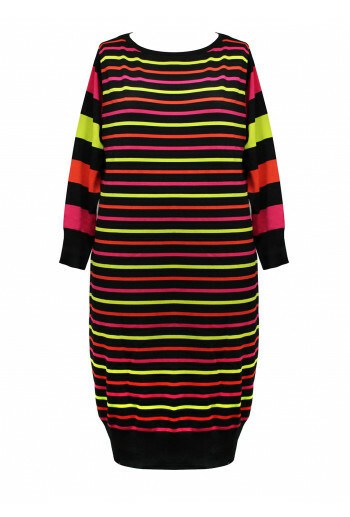 The dress is a relaxed fit that falls to the the upper calf, the dress features a thick band around the wrists and hem that adds to the dress's charm and versatility, and the contrast in stripes between the body and sleeves gives the dress a fun and lively aesthetic. Match with leggings and a pair of ankle boots to really spice up your look!